Every year I look forward to Halloween weekend. It’s not so much because I am a big fan of the holiday (although I really am). But, it’s because Halloween marks the beginning of the holiday season. 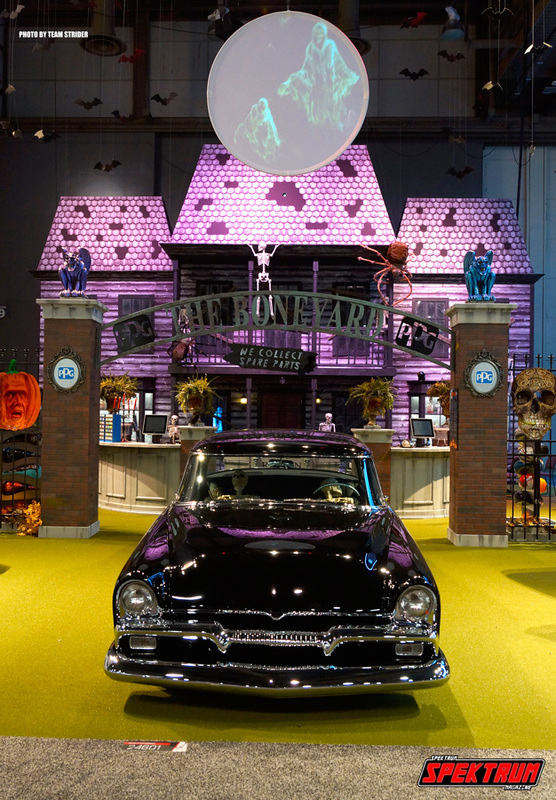 Halloween sits right in between the second half of the year and kicks off the holiday season. It’s that marker towards the end of the year that really whips my favorite part of the year into gear. Plus, considering how different Halloween is compared to the rest of the holidays throughout the year, it’s just incredible. So, why is it that Halloween is so special? 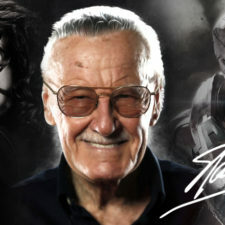 Well, for a geek like me, it not only kicks off the party, but, it’s the same weekend as the LA Comic Con. That whole weekend is one big party, and going to that show is a real treat for a nerd like myself. This year in particular was on a whole other level, and maybe one day I’ll talk about how insane that show was. But, you see, Halloween and Comic Con takes place during the weekend, and sadly that party ends as soon as Monday hits. Well…. At least it does for most people. You see, Halloween (and Comic Con) aren’t just awesome because of what they are (namely, some of the best damn things to happen throughout the year), but because Halloween weekend ends with the beginning of one of my favorite events of the year. This event is a week long showcase (and celebration) of all things related to cars. I’m sure you have probably guessed what it is by now, and you would be right on the money if you said that it was a show unlike any other. 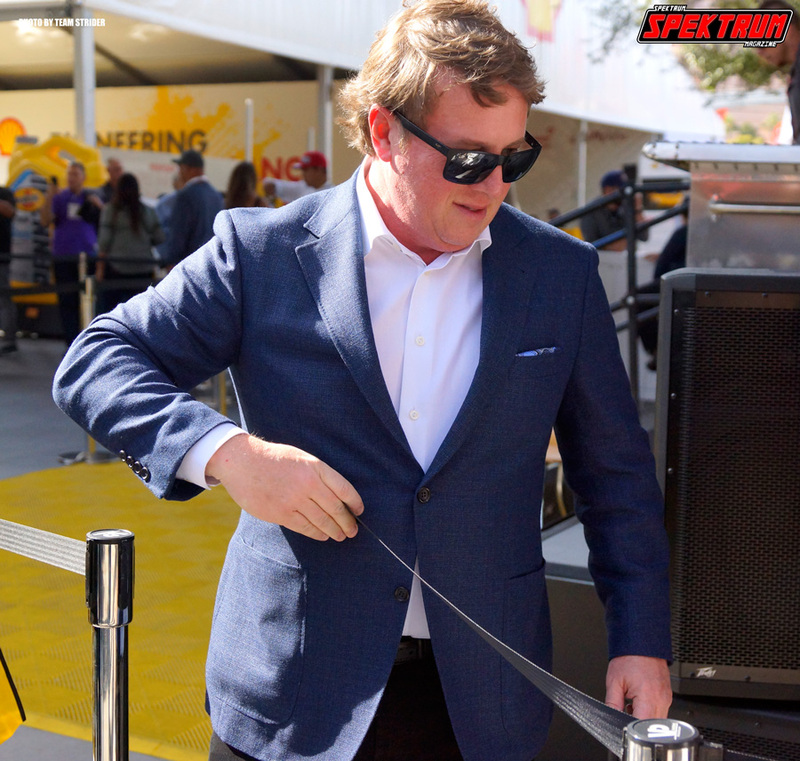 Yes folks, I’m talking about the undisputed heavyweight champ of car shows and the pound-for-pound craziest event that we go to every year, SEMA. 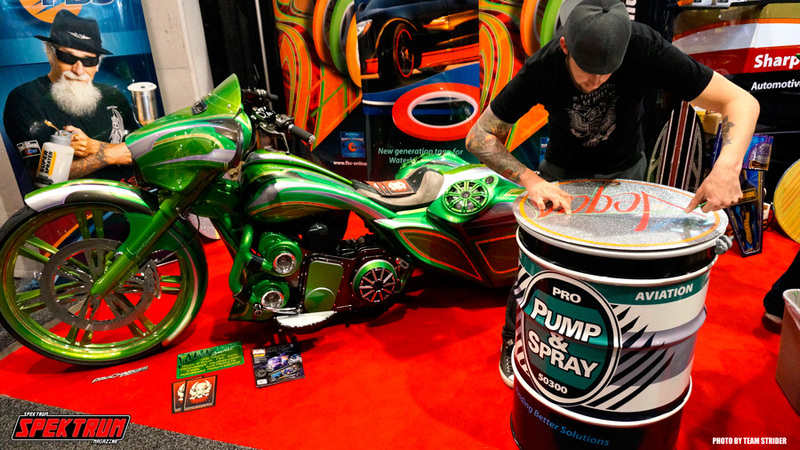 SEMA is a show unlike anything you’ve probably ever been to. It’s a magical event that takes place just after that Halloween weekend. Yeah, that’s right, just when you think it couldn’t get any better with an incredible LA Comic Con, and Halloween, you follow it up with one of the craziest shows of the entire year. If you’ve read any of our past articles, then you know just how action-packed this show can be (read about last years’ trip here). It’s a week-long adventure filled to the brim with the most amazing cars, vendors and personalities from around the world. Yes, even though this show is primarily a show for American companies, the amount of attention it draws from partners around the world is incredible. Hell, just walking around the halls during show hours is an eclectic mix of (car) industry professionals from around the world. 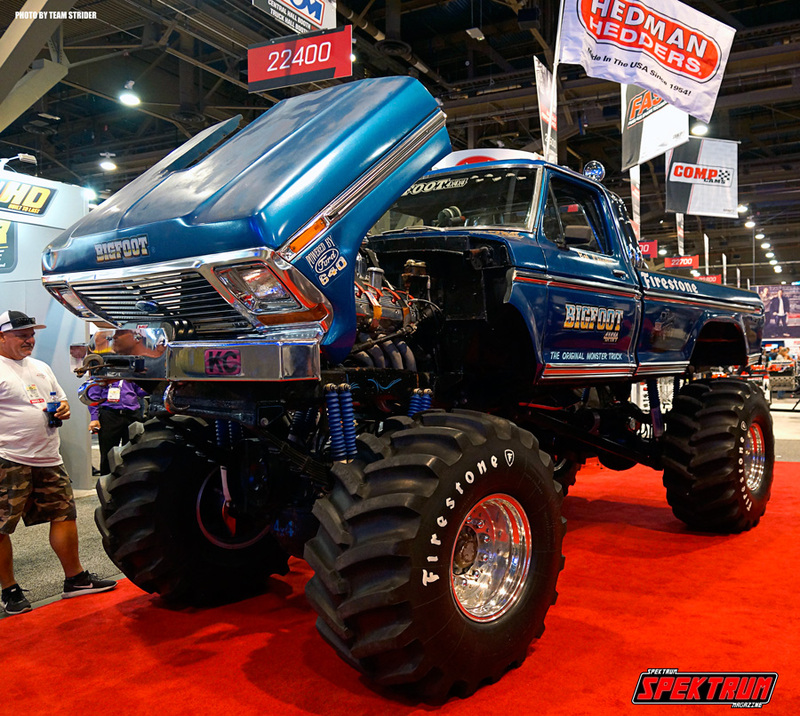 For a person that loves random things and expecting the unexpected, SEMA is definitely the place to be. I mean, think about it, it’s not very often that you can go to a place where all the things that you love about something is all in one place. This show combines all of the aspects of the car industry and packs them into an area bigger than most other shows and not only do they do it for a week straight, but, they do it in Vegas. It’s pretty nuts, and this time around we knew what we were getting into. While it was a continuation of the craziness from last year, we thought we would take a much more smarter approach than what we did last time. 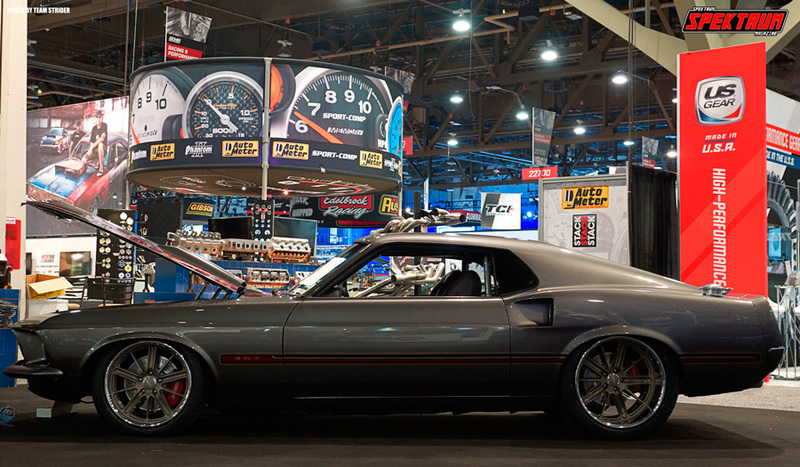 The last time we were at SEMA we showed up a day earlier than it was supposed to start. We had read that the day before was going to be open for media, and we were hoping that we would be able to get into the show and maybe take pictures before the masses of people showed up. There are a few other shows that do this (allow the press to go early) and shoot to their hearts content before all of the people show up and consistently kill any good shots. 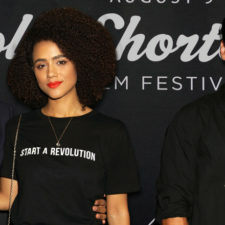 This doesn’t sound like a big deal, but, when you have thousands upon thousands of people getting in the way of your shot, it makes it really hard to shoot. Unfortunately for us though, we misread the email, and while we showed up early, we were only given limited access to the showroom floors. So, instead of going through the same thing again, we pushed it back another day and decided to stay the week. Man, oh man, that was probably the best thing we ever did, as not only would we have a chance to shoot everything (or at least as much as we could pack into the days that we were there), but we would have more time to interact with a bunch of new people. Plus, knowing myself, I would definitely be getting into more shenanigans. Maybe one day I’ll go into those, but, that’ll be a crazier, more personal article. Whatever the case, this time it was on, and we hit the ground running. We left towards SEMA early morning around 5am on Halloween Day. I had stayed at a buddy’s house that night so, I had been up pretty late. Sadly, that meant that I didn’t get a lot of sleep. His kids also woke up super early (which makes me wonder why the hell they had to get up so early to go to school that day) and that left me running on a few hours of sleep. While I was super tired, I was excited to see our team members Brandon and Gee that morning. They were coming over to my friend’s house that morning and I would be riding with them over to SEMA. It was the first checkpoint for them, and for myself a launching pad for one of the craziest weeks I can remember. Actually, now that I think about it, it was pretty nuts for all of us. But, that early morning drive to Vegas kicked everything off. When we arrived in Sin City a few hours later, we headed straight to the Venetian. While it may sound weird, and it is pretty far from where SEMA itself was taking place, we were actually on our way to the AAPEX show. 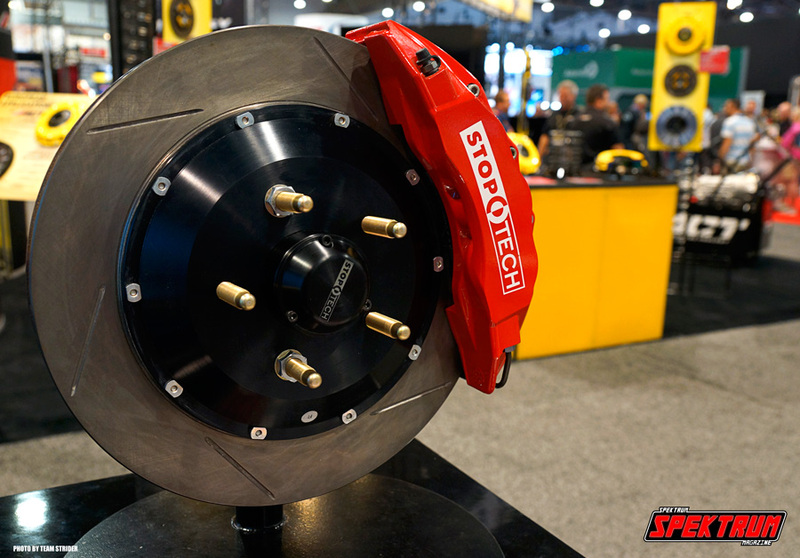 This show is tied to the hip with SEMA, and unlike that one, which focuses on aftermarket parts and accessories, AAPEX is a show more devoted to the components of the cars and their replacement parts. That would include light bulbs (more often than not, replacement bulbs or their equivalents) and a lot of OEM replacement parts. It’s a very different show, and one that we were keen on checking out. While we had been to the show briefly last year, we didn’t have a lot of time to really check it out. But, this time around would be a different story. In fact, the show was not only our first stop, but, it would be where we would have our first interview of the week. On day one of the show we had an interview lined up with the people at Sylvania. While we had left for Vegas pretty early, a few morning snags (i.e. problems with getting access to the show for some people) held us up for a few minutes, and unfortunately we arrived to our interview a few minutes late. Considering that we hadn’t really had much time to see AAPEX a year before, it was hard not to look left and right as we walked through the show room floor. Just like SEMA there was a lot to soak in, and if we hadn’t paced ourselves as much as we did, we would have never seen the amount we did. But, alas, we did make it over to Sylvania, and they were more than nice to us. We met with some of the same folks a year before, so, it was nice to catch up and to see what they had in store. What was it that they were excited to show us? Well, it was an introduction to the highlight and theme of the entire show, LED’s. Yes, it’s true. 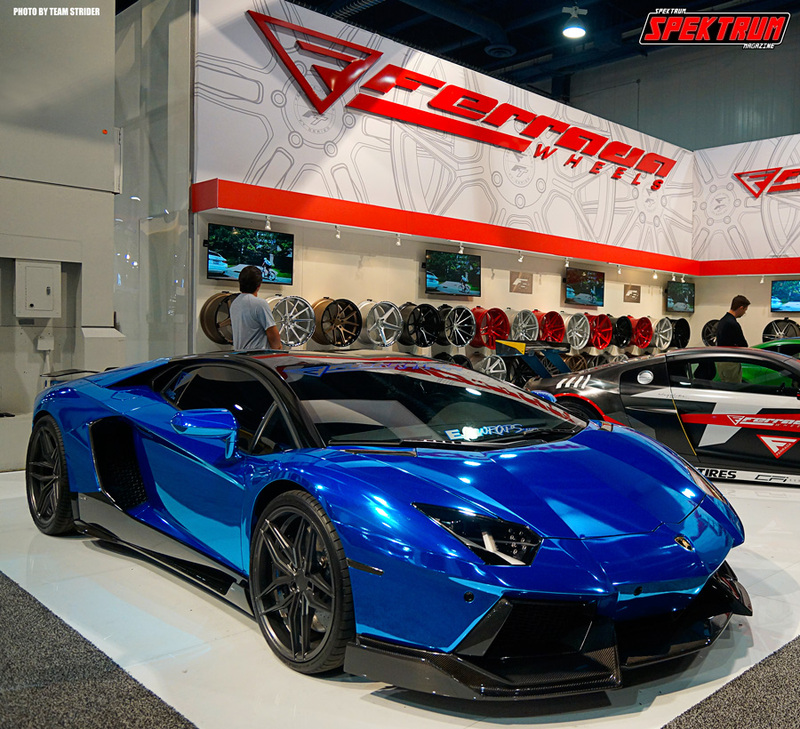 While SEMA and AAPEX are showcases for all of the latest and greatest products throughout the industry, there was a constant theme that we noticed, and that was the ever looming presence of LED’s and the impact that they are having. It’s crazy, but, prior to AAPEX and SEMA, I had seen LED’s popping up all over the place. It really didn’t matter if it was a light bar, or ropes to hang on a camper or everything in between, but dang, LED’s were showing up in the craziest of places. I remember seeing just how crazy LED accessories were getting when I covered the Sands Expo and seeing them pop up here felt a bit like deja vu. But, to be honest, I’m not at all surprised. I mean, the light bulb has been around for over a century, and while the tech behind it has improved, there has not been any changes to it until now. 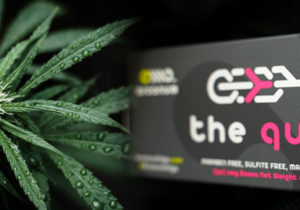 Things changed a few years ago though, and that made the production of LED’s skyrocket, and because of that, the prices have fallen dramatically. 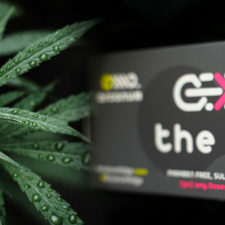 What used to cost a few dollars per LED’s years back now can be produced for pennies on the dollar. They are becoming brighter, stronger, more efficient, and more colorful. In 2014 the federal government made it illegal to import and distribute incandescent light bulbs. That meant that we wouldn’t be able to buy the incandescent lights (brand new ones anyways) that we grew up. So, that meant that we could now find those LED’s everywhere, and the transition to cars was a no-brainer. 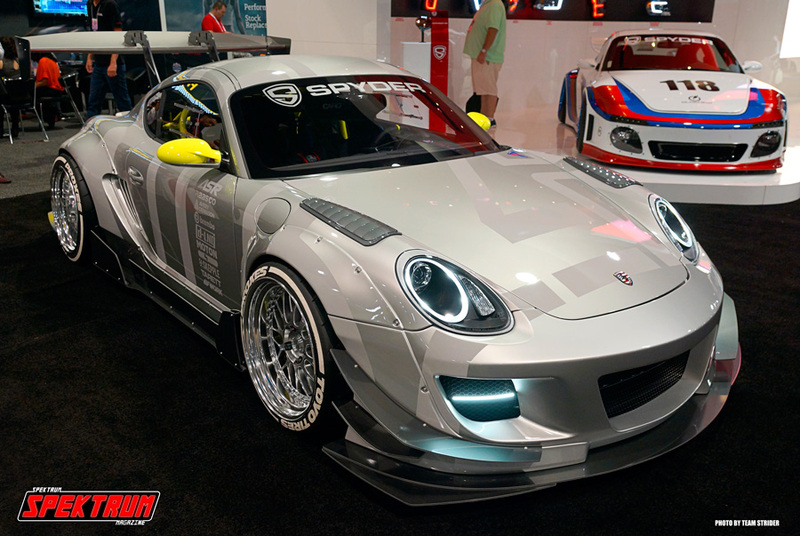 SEMA had LED’s and accessories all over the place last year, but this year was a whole different story. Man oh man they were everywhere, and seeing companies like Sylvania embrace the tech was awesome. Every since LED headlights were released for high end cars I had been wanting a pair for my cars. I do not have a new car, but, if a retro conversion set was available then I would definitely get it. Well, mine and everyone’s prayers have been answered, and that is just one of the many things that we can get now. This year was the year of the LED, and it definitely showed across both halls. But, that doesn’t mean that there was nothing else to see. Remember, this was only day one, and holy moly, this was only the beginning of the adventure. 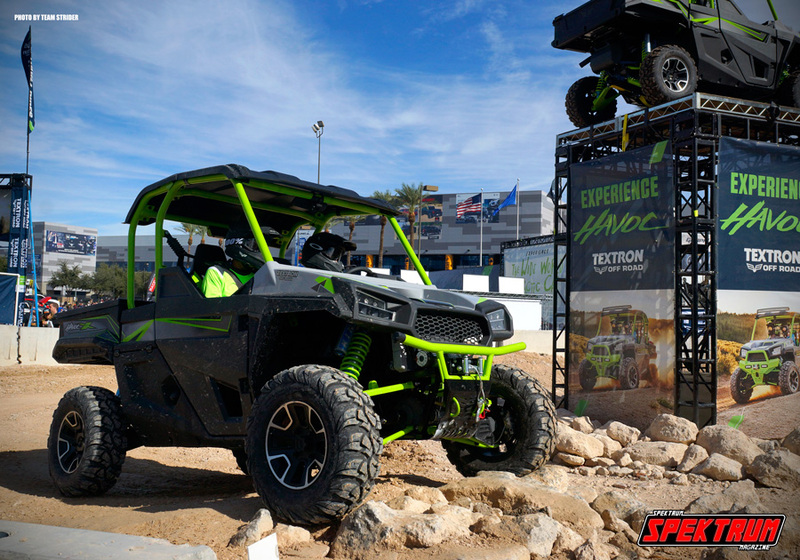 After our interview on that first day we scuttled our way around AAPEX and soaked it in a lot more. Compared to last year we really had a first hand look at what this show was about. 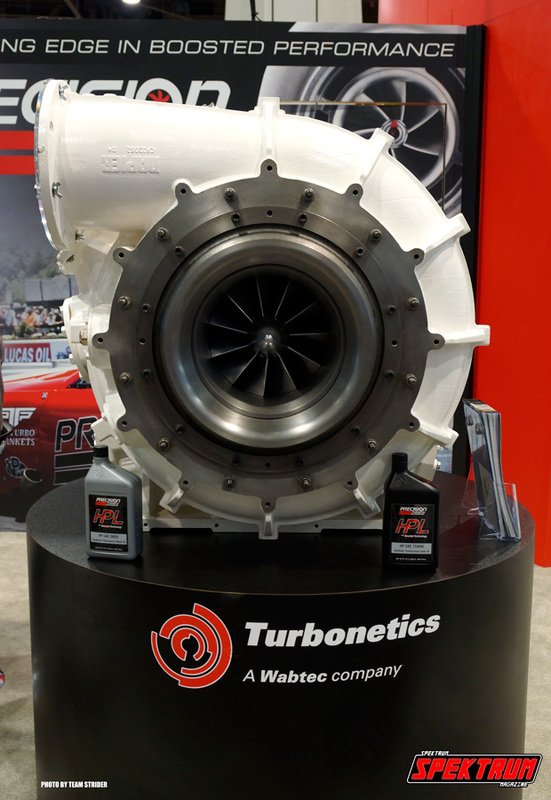 Considerably less flashy than SEMA, AAPEX is a lot more business oriented, but no-less interesting. Unfortunately, we couldn’t stay there for very long. We have been to SEMA before and we knew that every minute we weren’t in the show we would potentially be missing something. SEMA is like a circus. That may sound like a bad thing, but, circuses(sp?) are magical places filled with animals, clowns, exotic beasts and the most incredible performers on the planet. In fact, it’s a lot like SEMA. Maybe slightly more chaotic though. 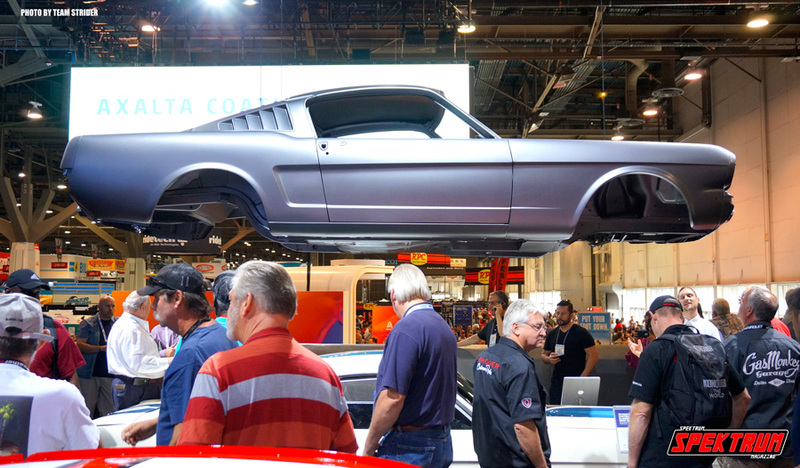 SEMA, brought in over 70,000 buyers from all corners of the globe, and from that very first day, the show took off and never stopped. So, when we went over there on that first day, we headed straight for the North Hall. Thinking it would be a little less crazy than the central and south halls (which are usually where all of the wheel, tire, accessory and models are located), we were surprised to notice that we couldn’t have been more wrong. Holy smokes, it didn’t matter if we were going to a SEMA outpost across the street (which do exist now) or any number of places, SEMA is just that crazy. In fact, it’s so crazy that the on that first day on our bus ride to SEMA we saw the famous chef Guy Fieri walking around. Yeah, we hadn’t event walked inside yet and already we were already seeing celebrities. It was at that moment that I was as giddy as a school girl. Who knew what and who we would be seeing through that ocean of people and steel. 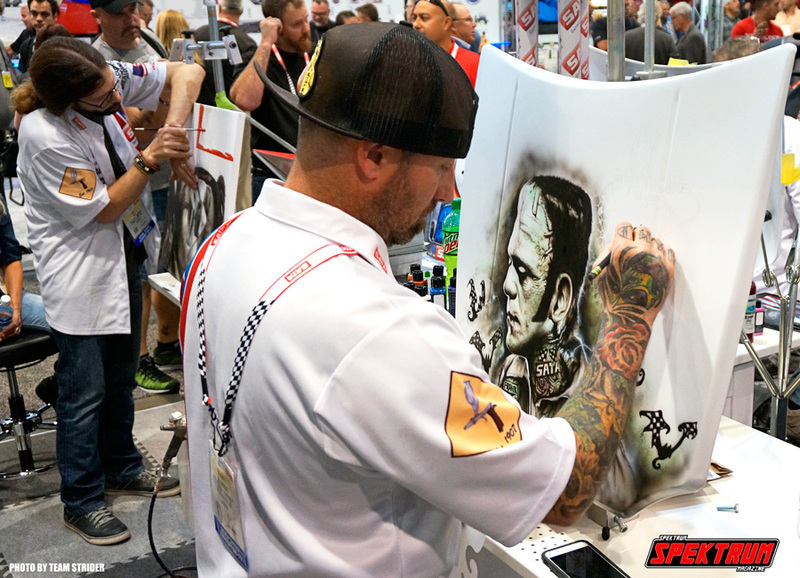 The second day to SEMA was a lot more grandiose than I could have imagined. I won’t go into too much detail here about it (you can read about our adventures from that day with Turtle Wax and the VORE race track here), but, it started out as epic as I could have ever imagined. We hadn’t even gone halfway through the day and already we had experience a crazy morning. After heading back to our hotel we readied ourselves once again for SEMA, and in just a little over an hour we were back at it. I may have been physically tired, but at this point I was running on full adrenaline. I was amped to see what more we would see this time around. We were going to split up this time too (since we were left with just a little bit of time by the point we were back a the show), so that way we could cover as much as we could on that second day. Even though we were there for a little while the amount of things we saw were just as intense as any other day. In fact, that second day kicked off what was one of the craziest expositions of cars that we had been a part of. Mind you, we had been to SEMA before, but, in years past we were never there more than three days. This time though, we would be there the entire week, and while it may not seem like much, the amount of things being thrown at you is overwhelming. But, it’s not necessarily a bad thing. 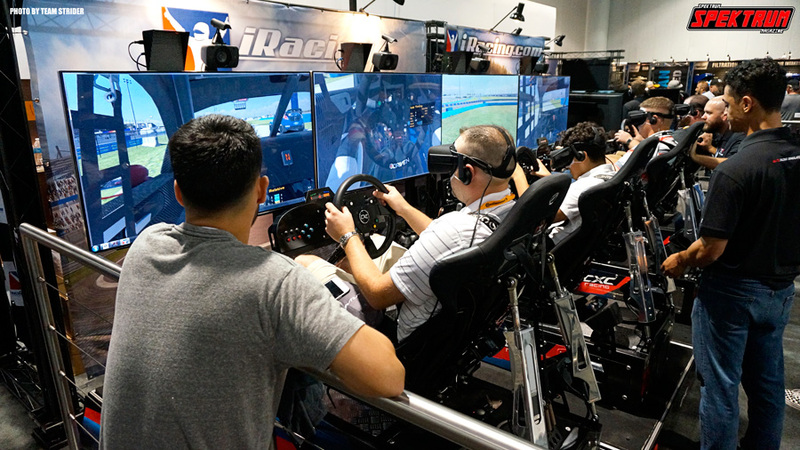 If you didn’t know a thing about cars or anything about the world, all you would have to do is come out to one SEMA show and you would have a first-hand schooling in what the industry is all about. This is the Super Bowl of car events, and anyone and everyone is here. Just as in previous years, all of the big manufacturers were there yet again, and once again, they brought out the cream of the crop in builds. 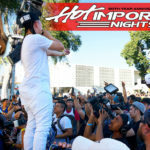 Companies such as Ford, Honda, Prestone, Royal Purple, Michelin, Motul, American Racing, R1 Concepts, Hennessey, Turbonetics, Foose Design, House of Kolor, Amsoil, Eibach, Tein, Meguire’s, Forgiata, Magnaflow and many, many others were on hand at the show. Not only were the vendors there as well, but, so were the cars. Oh, the cars. 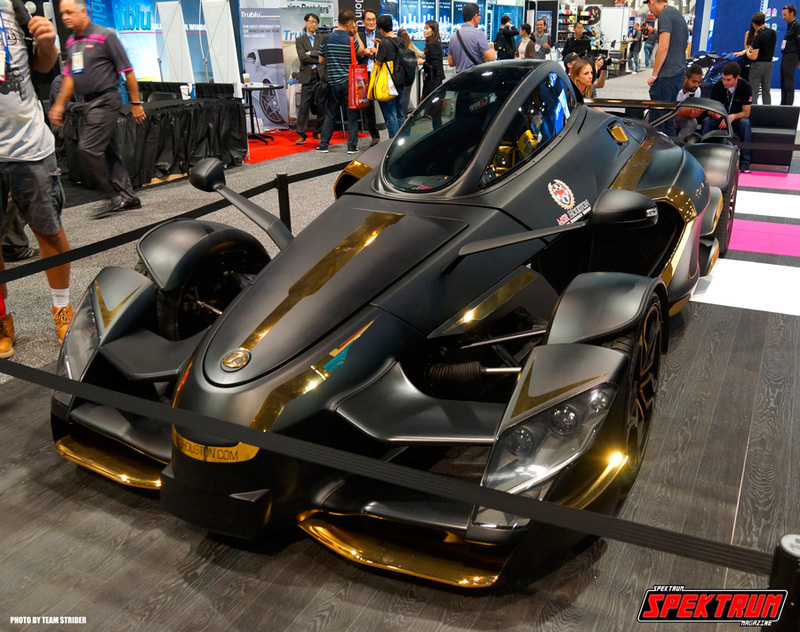 Every year some of the craziest builds make their debuts at the SEMA show. Being the Super Bowl of car events, it makes every manufacturer step up their game. They may be well known around the world, but, the moment you put them all together, you have a competition that is unlike anything you’ll ever see. 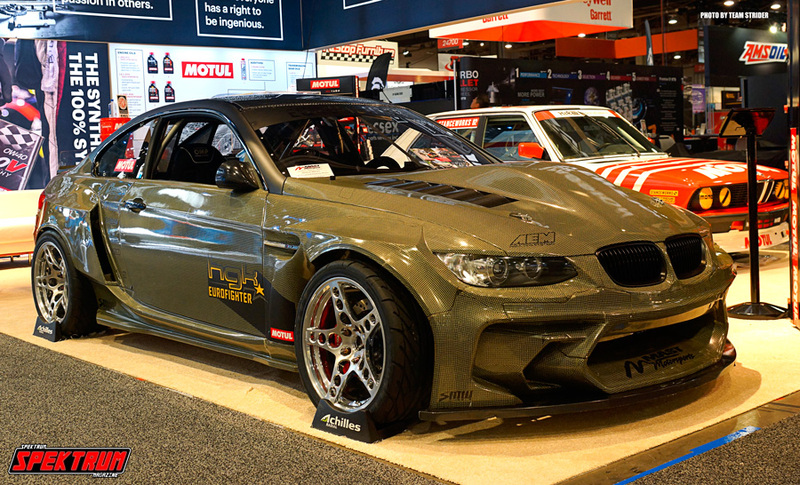 The cars (trucks and other vehicles) are the showcase for their products, and only the finest from around the country (and sometimes even the world) are on display at SEMA. Every booth is vying for the attention of the world, and if everyone is doing the same then of course you’re going to see some amazing vehicles. Some of those vehicles that I happened to see are etched in to my mind, and for good reason. 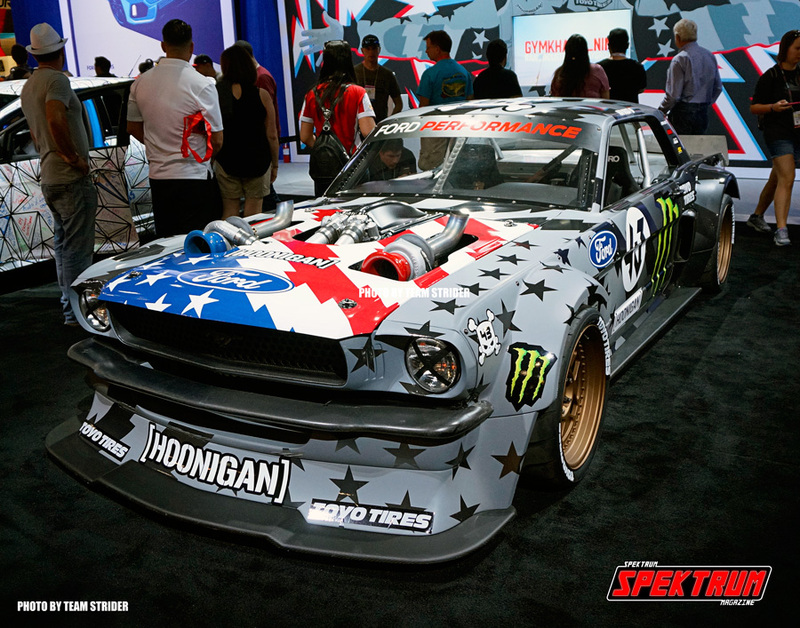 I remember for example, seeing the souped-up Mustang that Ken Block used to make all of those crazy YouTube videos (if you don’t know what I’m talking about, look up Ken Block and his insane run in LA. I guarantee it will be one of the most mind-blowing vids you’ll ever see), and the original (yup, not a replica here) Bigfoot Monster Truck. You also had a fully carbon-fiber NSX at the Honda booth and what may be one of the craziest things I’ve ever seen, a Prius with an engine out of a Hellcat (yeah, believe it or not that really happened). And that’s just the tip of the iceberg. 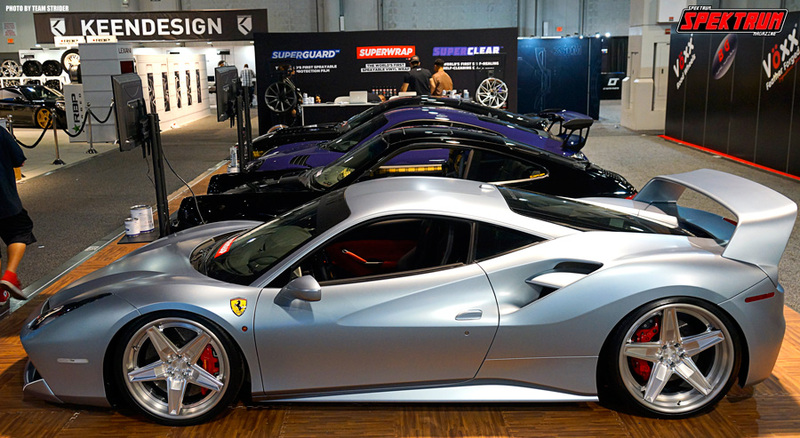 SEMA is full of cars that you could easily see as a poster on someone’s wall. In fact, with so much of the cars there, it’s pretty easy to lose sight of some of them. But, you know, that’s the beauty of the show. This is, THE Original Big Foot Monster truck. Yes!! 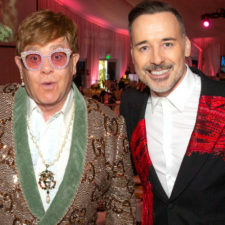 One of the things I have to mention (and I’m sure you may have noticed just by looking at the article) are the models. Oh, the models. It’s a pretty easy thing to overlook and considering all of the models are really there just to enhance the flavor of the products being sold, an often forgotten thing. What I mean is that, while there are models at nearly every car show or event that we go to, seeing them at SEMA shouldn’t be too much of a big deal. Well, we are in the land of cars, and with plenty of incredible automobiles and parts being shown off, models aren’t really a necessary thing. But, thinking that they don’t enhance an already amazing show would be folly. Cars and women have gone together like peanut butter and jelly since the beginning of time. I’m pretty sure whether we know it or not when Karl Benz designed the first (practical) car, he probably took some pictures of a smoking hot babe next to it. Cars are beautiful and so are women. Put them together and you have a supernova of awesome. That there is where the magic of SEMA comes in. Already you have the best of the best bringing out all of their shiny new toys and without a doubt, the same is done with the models. Some of the most stunning women you have ever seen (many of them whom we are familiar with at Spektrum) make an appearance at the show and come out from all around the country. 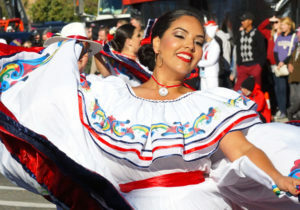 Sometimes those women even come from other countries and hold other occupations. It’s amazing having the opportunity to meet with a lot of the models we have and I would be an idiot to leave that part out of the story. 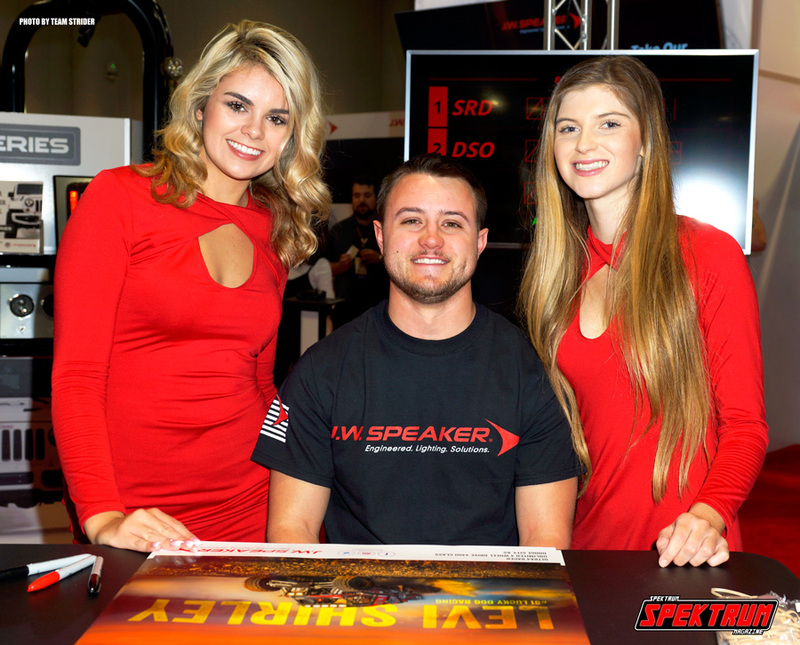 The funny thing is, if you go to SEMA, more often than not (and sadly for a lot of the vendors), the models are in many ways the most popular parts of the booths. Acting more like celebrities it’s hard not to look away sometimes. But, what can I say. It may be a man’s world, but the world does not turn with out women at the front. The women we met there are some of the funniest, genuine and most incredible we have ever met, and it’s no wonder why we are all so captivated by their presence. 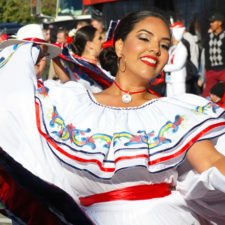 Let’s hope that SEMA does not follow the trend of the E3 Expo and start to move away from the models having a presence. The mood of that show definitely was nothing like it was ever before after the change. 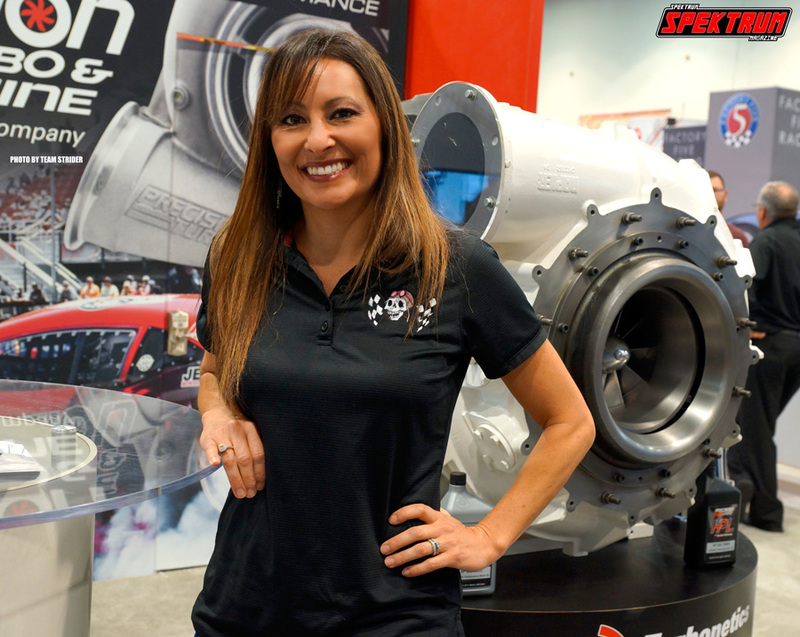 Kudos to SEMA and to all of the vendors for making the stunning women we see part of their displays. And if you think that I am simply talking about their looks when I describe them, you would be most mistaken. A lot of the women there are drivers, artists, entrepreneurs, students, writers, personal trainers, etc., etc. Knowing them and their stories is just as fascinating as the (car) builds and parts being sold. With all of the variety, there’s bound to be something that you’re interested in. Sure it’s a trade show for people that work within the automotive industry, but, unless you go to SEMA without any appreciation for the vehicles there, then you are truly missing the point. 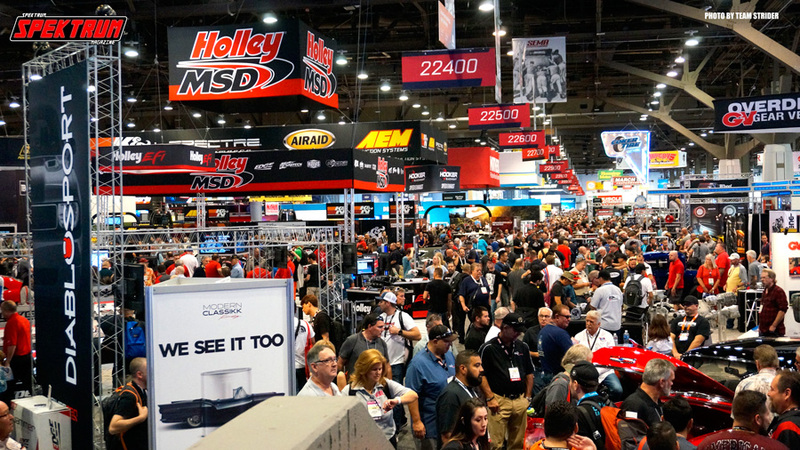 SEMA isn’t just a trade show where money and new ideas are pushed, it’s a reflection of the ever changing marketplace and wants that the customers desire. If there is a trend taking place somewhere in the world, you bet that it’ll be likely to show up here. Carbon fiber was once a material that was used to build aircraft components. 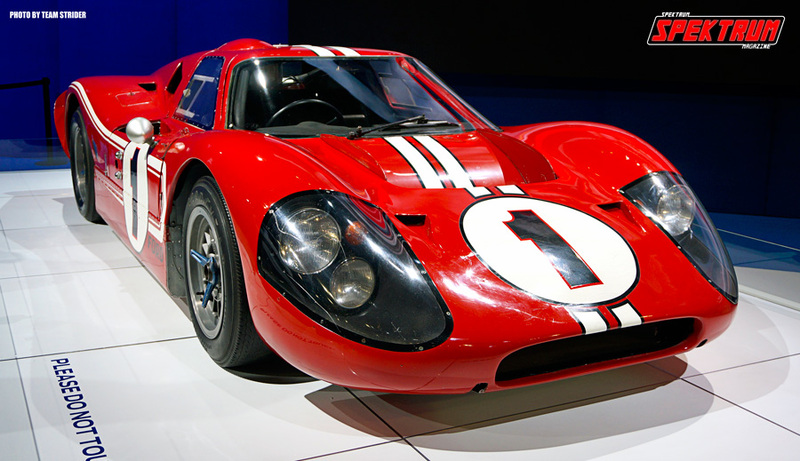 After many years of use and development carbon fiber found its foothold in the car racing world. Years later, it found its way into everything from tuner cars to factory BMW’s and everything in between. 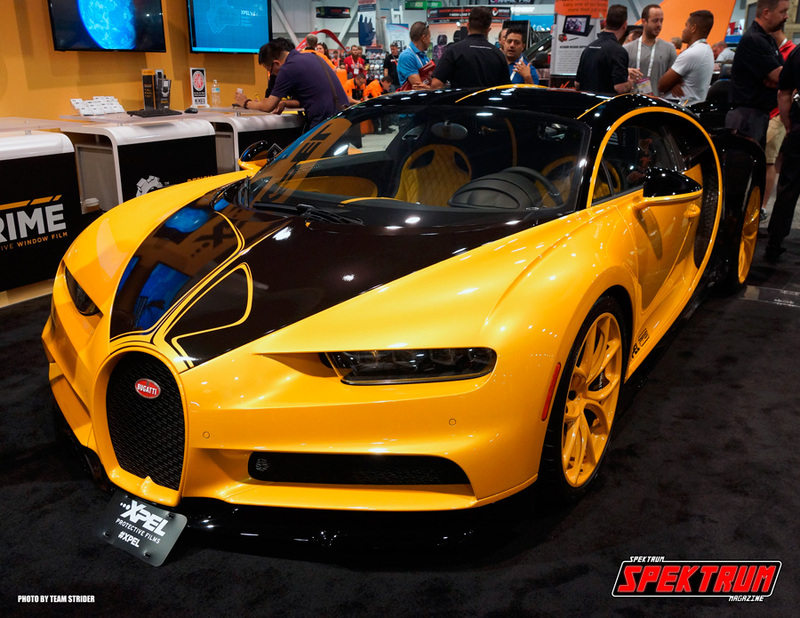 It’s no surprise that the popularity of carbon fiber has increased the demand and that is why we see it being reflected in the products at SEMA. This year it was LED’s that were the hot ticket and they were everywhere. 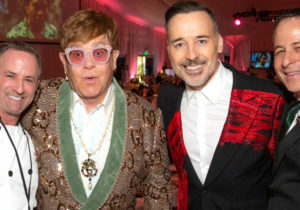 Prior to the show they had been around, but, this time it was the main highlight of the show. Needless to say though, there were a lot of new products that were on display and I couldn’t help but be impressed once again. SEMA is and as far as I’m concerned, will also be the premier car show in the US. This show was above and beyond what it was last time and I am sure it will only get better from here. 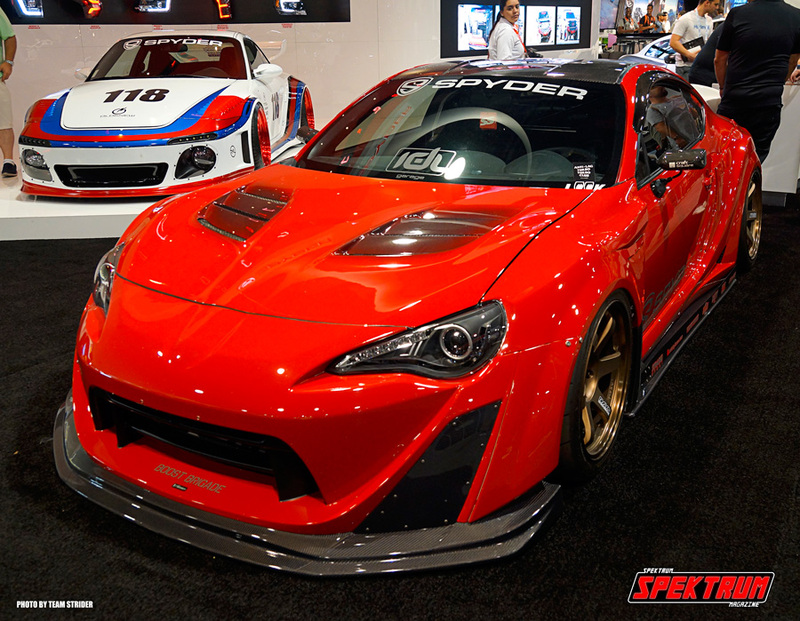 I can’t wait to see what new products and innovations SEMA and AAPEX bring out next time. 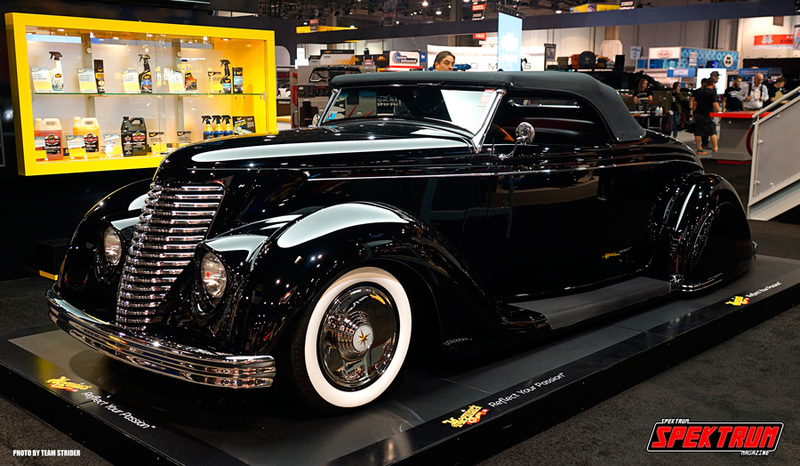 The beautiful 1936 Ford roadster at the Meguire’s booth. Just look at that paint! This sweet Mustang Boss is just incredible. Look a the stance on it. Nice!